Although there are numerous books that examine physical comedy from a historic or aesthetic perspective, few provide guidance in how to do it. So where can actors and teachers go for instruction? To The Physical Comedy Handbook. 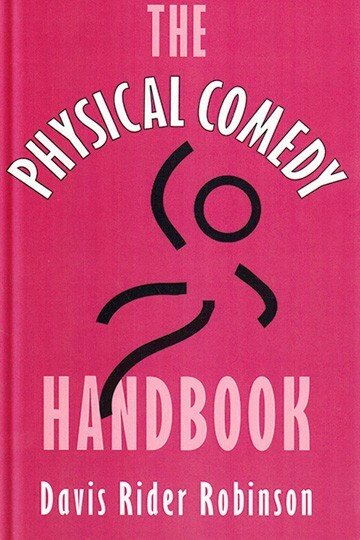 The Physical Comedy Handbook is a one-of-a-kind resource for actors, teachers, and directors interested in physical comedy—from slapstick pratfalls to the theater of the absurd. Davis Robinson believes that the basic physical skills of comedy can be taught to anyone. His twenty years of practical experience—including workshops with Jacques LeCoq, Tony Montanaro, Bill Irwin, Avner Eisenberg, Mark Morris, and Ronlin Foreman–have taught him so. Robinson shares what he has learned in this book, providing a thorough explanation of a range of techniques for developing comic timing, writing original material, and working with scripts. The book includes numerous hands-on exercises designed to help anyone, regardless of experience, develop their sense of play. Acting students will learn how to sharpen their physical skills. Teachers will learn how to structure and guide their students’ work. Actors will explore a range of comic styles. Directors will discover a number of tools for bringing comedy to life.